Stingray Sushi celebrates National Spicy Tuna Day on Wednesday May 11 with a Customer Appreciation special – $1 Spicy Tuna Rolls! The offer is good for one spicy tuna roll per person with a purchase at Stingray’s two locations in Chandler and Phoenix-Biltmore. 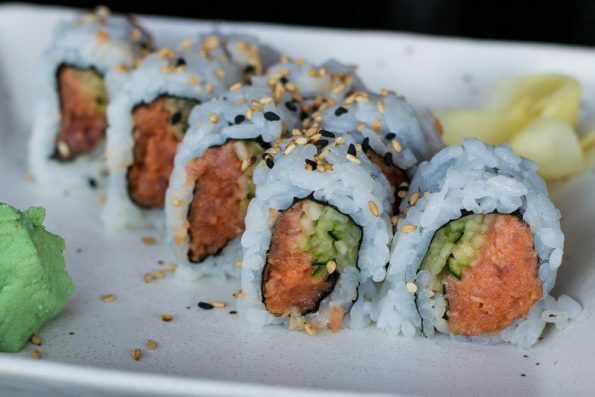 Spicy tuna is one of the most popular types of sushi rolls in the U.S. It’s thought to originate from the Tokyo Kaikan restaurant in Los Angeles that brought sushi to mainstream American dining in the late 1970s. Stingray Sushi has led the way for sushi and Japanese cuisine in the Phoenix dining scene. Since 2004, Stingray Sushi and Executive Chef Andrew Nam have combine the artful creation of sushi, Japanese fare and savory libations into a truly distinctive experience. For more information about Stingray Sushi, visit online at StingraySushi.com.